Friday 12.00 -13.00 hours. Appointments at other times arranged with students. Professor Carr graduated with a B.A in Jurisprudence from Oxford University and subsequently qualified as a solicitor. She entered academia after over 13 years of legal practice. She  has an M.A from the Open University in Sociology and Criminology and obtained her PhD from the University of London in 2009. She has extensive experience in teaching housing, property, public law and law to social workers at undergraduate and post-graduate levels. She has been Director of Education for Kent Law School and is committed to student-centred and research-led teaching. With Dr Kirsty Horsey and Mr Ben Watson she is writing an innovative textbook for first year students on Legal Skills and the English Legal System. Professor Carr practised at a Law Centre before entering academia. She represented clients in a number of high profile judicial review cases concerning homelessness, closure of care homes and habeus corpus. She has been a part-time judge with the First Tier Tribunal (Property) Chamber for more than ten years. Her work load includes rent cases, service charges and Housing Act cases. 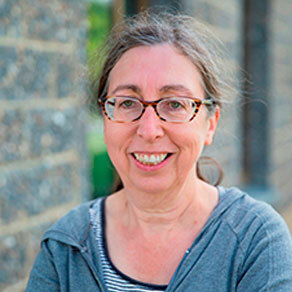 Professor Carr’s research interests centre on housing, homelessness and social justice. She is interested in how law regulates those who are marginal to housing and property. Her interests go beyond security of tenure, considering, for instance, how law governs the distribution of housing resources, such as housing size, thermal comfort, building technologies, affordability and decency. She takes a feminist, socio-legal and interdisciplinary approach to her research. She is currently funded by  the Global Challenges Research Fund of the Academy of Medical Sciences of the Royal Academy, UK to run, with Professor Danie Brand of the University of the Free State South Africa, and Professor Maria Fernanda Repolez of the University of Minas Gerais Brazil, workshops in Bloemfontein, Belo Horizonte and Kent, on Housing: Inclusion and Sustainability in the 21st century. She is a member of the Inclusionary Practices project, funded by the British Academy, a research partnership between Kent Law School and the Law Faculty of the University of Minas Gerais. Helen teaches Undergraduates in issues associated with Land and Property Law. Professor Carr is happy to supervise students who share her research interests. She welcomes inquiries from candidates who are in practice or have practical experience of housing and social justice issues as well as candidates who have an academic background in these areas. Cowan, D., Carr, H. and Wallace, A. (2018). Thank Heavens for the lease: Histories of Shared Ownnership. Housing Studies [Online] 33:855-875. Available at: https://doi.org/10.1080/02673037.2017.1408782. Drawing on and developing Kingdon’s multiple streams analysis, this article examines the development of one aspect of the UK’s low cost home ownership programme: shared ownership. We demonstrate how key human and non-human policy entrepreneurs were able to set the agenda from 1973–1983 in favour of shared ownership; they neutralized the alternatives, while retaining some of their instruments; and solved a number of early problems by bringing key players into the programme. Our data-sets include a range of archival material and elite interviews. The policy entrepreneurs included John Stanley (who was the housing minister in the First Thatcher government), the National Federation of Housing Associations, and the Building Societies Association. Our development of the multiple streams analysis is to argue that documents, including the lease, act as policy entrepreneurs in their own right. The lease was central to the development of shared ownership and its transformation into a model lease enrolled other organizations, most critically the building societies. Kirton-Darling, E. et al. (2018). Health and Safety at Home and paying for fire safety. Journal of Housing Law 21. Carr, H. (2017). Grenfell tower and the failure of Fire and Building Regulations. Journal of Housing Law [written report]. Carr, H., Cowan, D. and Wallace, A. (2017). Producing the Product: A Case Study of Law and Its Absence. Journal of Law and Society [Online] 44:S93-S110. Available at: https://doi.org/10.1111/jols.12051. In this article, we seek to develop socio-legal studies through a rupturing of the ideas behind the social and the legal, ideas that are most often presumed to exist and are used to explain that which is already there. The ubiquity of law and the omniscience of society have become givens. We use a product called shared ownership as a case study, arguing that the product was given life by a legal document (the lease) which itself represented the translation of a range of different perspectives and audiences (albeit not the consumer), and which, itself, has been translated, most notably in a 2008 High Court decision. That decision counterintuitively found that the lease had created an assured shorthold tenancy (albeit a long one) but, despite its threat to the product, has been largely ignored. We discuss the processes of, and reasons for, the translation through which that ignorance has been induced. Cowan, D. and Carr, H. (2016). What’s the use of a hashtag? A case study. Journal of Law and Society [Online] 43:416-443. Available at: http://dx.doi.org/10.1111/j.1467-6478.2016.00761.x. Although there are now sophisticated techniques for the analysis of social media, socio-legal studies has yet to draw on them fully. In this article, we demonstrate how Twitter can produce insights about protest, law, and legality, through a case study of protests against the ‘bedroom tax’. The first involved challenging a policy in the courts using a test case or cases. We discuss the litigation strategies and the mess they created and counterpose those strategies with those of four prolific ‘tweeps’ who participated in our study. We argue that, despite the small number of participants, these people have, in their own way, been enormously influential and made things happen. Our position is not evaluative of the different strategies – but, rather, one that recognizes that legality is mobilized in different ways. Carr, H. and Cowan, D. (2015). The Social Tenant, the Law and the UK's Politics of Austerity. Oñati Socio-legal Series [Online] 5:73-89. Available at: http://ssrn.com/abstract=2565733. Carr, H. and Wong, S. (2014). Feminist approaches to property law research. Property Law Review 3:247-255. Carr, H. (2013). Utopias, Dystopias and the Temporalities of Social Housing: a case study of the Spa Green Estate London UK. Australian Feminist Law Journal 38. Carr, H. and Hunter, C. (2012). Are Judicial Approaches to Adult Social Care at a Dead-End? Social and Legal Studies [Online] 21:73-92. Available at: http://dx.doi.org/10.1177/0964663911421948. This article examines the limits of law to resolve or transform the contemporary dilemmas provoked by the provision of social care to adults in the UK. It juxtaposes the judgments in two cases, each of which interrogates the legal consequences of the mixed economy of care: the majority and minority opinions of the House of Lords in YL v Birmingham City Council (2007) and the Care Standards Tribunal decision in Alternative Futures v National Care Standards Commission (2002). We read the opinions/decisions as narratives that tell a variety of stories reconciling the different roles of law, the state, the family and the individual in the provision of care. Drawing upon David Scott’s concern with ‘the conceptual problem of political presents and with how reconstructed pasts and anticipated futures are thought out in relation to them’ (2004: 1), we seek to examine legal responses to the contractions and mutations of social welfare. Carr, H. and Hunter, C. (2012). Unravelling Law's Kinning Practices: Feminism, Fictive Families and the Albert Kennedy Trust. Feminist Legal Studies [Online] 20:105-120. Available at: http://dx.doi.org/10.1007/s10691-012-9200-2. In 1989 Smart problematised law as a masculinist knowledge which disqualified other forms of knowledge, particularly feminism. Twenty-one years later Smart characterises the relationship between law and feminism quite differently. In this account law responds to feminism and outcomes are progressive. Smart suggests that rather than continuing to focus on law’s disciplinary and normalising role, it is more productive to conceptualise contemporary family law as a creative kinning practice. We argue, however, that we must also bring into this account the changes to the state brought about by neo-liberalism. The paper tests these observations about the trajectories of feminism, law and neo-liberalism by reflecting upon our study of the Albert Kennedy Trust (AKT). AKT was established in 1989, in the wake of gay and lesbian resistance to Clause 28, to provide homes with gay and lesbian adults for homeless gay and lesbian teenagers. We are interested in AKT’s shift in its description of the adults’ relationship with the teenagers in their care from ‘brothers and sisters’ to ‘carers’ as it moved from a marginal force to mainstream partner/provider. In this context we explore the complexity of law’s responsiveness to feminism’s dynamism, its contingent recognition of kinning practices and, in the light of neo-liberalism, its continuing disciplinary role. Carr, H. (2012). Rational men and difficult women – R (on the application of McDonald) v. Royal Borough of Kensington and Chelsea  UKSC 33. Journal of Social Welfare and Family Law [Online] 34:219-230. Available at: http://dx.doi.org/10.1080/09649069.2012.718536. The case note argues that the failure of the Supreme Court justices to recognise Ms McDonald's claim to dignity and equal treatment can be explained by the neo-liberal context of contemporary judicial reasoning. It sets out the circumstances of Ms McDonald's application for judicial review and the legal framework of community care; it then explores the legal reasoning of the majority of the court, and the response to Baroness Hale's dissent, before commenting on the extent to which the decision demonstrates neo-liberal characteristics. Carr, H. and Dearden, N. (2012). Research-led Teaching, Vehicular Ideas and the Feminist Judgments Project. Law Teacher [Online] 46:268-280. Available at: http://dx.doi.org/10.1080/03069400.2012.737248. This paper reports on the results of a survey of law teachers that asked about their understanding of research-led teaching. It argues that the findings of the survey suggest that research-led teaching is a vehicular idea. It explains the emergence of vehicular ideas as a consequence of the discrediting of the intellectual as authority figure producing definitive oracular ideas. Instead the intellectual acts as mediator, producing ideas that provoke conversations and facilitate problem solving. Vehicular ideas are criticised as insubstantial, depoliticising and failing to challenge dominant neo-liberal norms, but they are also recognised – like all ideas – as potentially disruptive to the status quo. The paper then argues that the Feminist Judgments Project is a useful example of a research project that can give substance to research-led teaching. However, what is required is a conscious and collaborative dialogue between researchers and teachers and a commitment to outcomes that promote critical thinking on the part of students. Carr, H. (2011). The Right to Buy, the Leaseholder, and the Impoverishment of Ownership. Journal of Law and Society [Online] 38:519-541. Available at: http://dx.doi.org/10.1111/j.1467-6478.2011.00557.x. Carr, H. (2010). Looking Again at Discipline and Gender: Theoretical Concerns and Possibilities In the Study of Anti-Social Behaviour Initiatives. Social Policy and Society:77-87. Carr, H. (2008). Challenging times: Decent Homes and Service Charges. Journal of Housing Law. Carr, H. and Hunter, C. (2008). Managing vulnerability: homelessness law and the interplay of the social, the political and the technical. Journal of Social Welfare and Family Law [Online] 30:293-307. Available at: http://dx.doi.org/10.1080/09649060802580979. Cowan, D. and Carr, H. (2008). Actor Network Theory- Implementation and the Private Landlord. Journal of Law and Society [Online] 35:149-166. Available at: http://dx.doi.org/10.1111/j.1467-6478.2008.00430.x. Carr, H., Cowan, D. and Hunter, C. (2007). Policing The Housing Crisis. Critical Social Policy [Online] 27:100-127. Available at: http://csp.sagepub.com/cgi/content/abstract/27/1/100. In this paper, we argue that the 'crime control housing crisis' which has engulfed social housing is qualitatively different from most previous and current understandings of housing crisis (which have been of a quantitative nature, or been resolved to that). By contrast, the crime control housing crisis is a crisis precisely because it appears insoluble. All housing problems and policies now have to be legitimated by reference to this crime control housing crisis. The gaze of this crisis has been upon the 'social' sector, but that has also caused reflection on how to placate the crime control housing crisis in the private sector. It is this latter area that is the focus of the case study in the second part of this paper and starkly raises the central, deceptively simple, problematization for government: how to govern the ungovernable without being seen to govern. The case study concerns regulations promulgated by the Northern Ireland Housing Executive regarding the licensing of houses in multiple occupation. We argue that this regulation is symptomatic of a mutated 'housing crisis' in which the old questions of the adequacy of provision have been supplanted by new questions of responsibility for deviant behaviour. Carr, H. (2005). Someone to Watch over Me: Making Supported Housing Work. Social and Legal Studies [Online] 14:387-408. Available at: http://sls.sagepub.com/cgi/reprint/14/3/387. Brayne, H. and Carr, H. (2012). Law for Social Workers. oxford: Oxford University Press. Brayne, H. and Carr, H. (2010). Law for Social Workers 11th revised edition. oxford: Oxford University Press. Carr, H., Carter, S. and Horsey, K. (2009). Skills for Law Students. Oxford University Press. Carr, H., Cottle, S. and Ormandy, D. (2008). Using the Housing Act 2004: a practical guide. Jordans Ltd. The UK Housing Act 2004 gave local authorities increased powers, functions, and duties when regulating housing in the private rented sector. This book provides authoritative and practical information on key areas of UK housing law, giving a definitive and practical account of how the Act operates in practice, and describes how practice and procedures work within the residential property tribunal. Baxter, S. and Carr, H. (2007). Supported Housing and the Law. Legal Action Group. Sets out basic legal and regulatory framework that governs supported housing, and focuses on the day to day practical problems facing providers. This book is intended for housing and support providers including registered social landlords, managing agents, advice agencies, and housing associations. Carr, H. et al. (2005). The Housing Act 2004 - A Practical Guide. London: Jordans Ltd. The Housing Act 2004 makes significant changes to the regulation of residential property in both the private and public sector, together with changes that will fundamentally alter the conveyancing process. This guide to this vast Act should be useful to those involved in the management of housing and disputes about housing standards. Carr, H., Waddington, M. and Blair, A. (2004). The Anti-Social Behaviour Act 2003 – A Special Bulletin. Jordans Ltd.
Carr, H. (2018). Law and the Precarious Home: a case study of thermal inefficiency in English Homes. in: Carr, H., Edgeworth, B. and Hunter, C. eds. Law and the Precarious Home: Soci-Legal Perspectives on the Home in Insecure Times. Hart Publishing. Available at: https://www.bloomsburyprofessional.com/uk/law-and-the-precarious-home-9781509914609/. Carr, H. (2017). Room to live? Socio-legal reflections on the United Kingdom’s politics of housing space. in: Davidson, N. and Mistry, N. eds. Law between builidngs: Emergent global perspectives in urban law. Routledge. Available at: https://www.routledge.com/Law-Between-Buildings-Emergent-Global-Perspectives-in-Urban-Law/Davidson-Mistry/p/book/9781472474063. Carr, H. (2017). Statutory overcrowding standards and England’s crisis of housing space. in: Bevir, M., McKee, K. and Matthews, P. eds. Decentring Urban Governance: Narratives, resistance and contestation. Routledge. Available at: https://www.routledge.com/Decentring-Urban-Governance-Narratives-Resistance-and-Contestation/Bevir-McKee-Matthews/p/book/9781138229372. Carr, H. (2016). Caring at the borders of the human: companion animals and the homeless. in: Harding, R., Fletcher, R. and Beasley, C. eds. Revaluing care in theory, law and policy. Routledge. Available at: https://www.routledge.com/ReValuing-Care-in-Theory-Law-and-Policy-Cycles-and-Connections/Harding-Fletcher-Beasley/p/book/9781138943193. Carr, H. (2016). Legal technology in an age of austerity: Documentation, ‘functional’ incontinence and the problem of dignity. in: Cowan, D. and Wincott, D. eds. Exploring the 'Legal' in Socio-Legal Studies. London: Palgrave Macmillan, pp. 204-224. Wong, S. and Carr, H. (2015). Feminist Approaches to Property Law Research. in: Blandy, S. and Bright, S. eds. Researching Property Law. Palgrave, pp. 164-179. Available at: https://he.palgrave.com/page/detail/Researching-Property-Law/?K=9781137486189. Carr, H. (2013). Housing the Vulnerable Subject: the English Context. in: Fineman, M. and Grear, A. eds. Vulnerability: Reflections on a New Ethical Foundation for Law and Politics. Ashgate, pp. 107-124. Available at: http://www.ashgate.com/isbn/9781472421623. Carr, H. and Hunter, C. (2010). YL v. Birmingham City Council and others. in: Hunter, R., McGlynn, C. and Rackley, E. eds. Feminist Judgements from Theory to Practice. Hart, pp. 318-328. Carr, H. and Rhodes, D. (2010). Property Law entries. in: Penguin Dictonary of Law. Penguin. Carr, H. and Buck, T. (2009). Judicial review and the social fund. in: Buck, T. ed. The Social Fund: law and practice. Sweet and Maxwell Ltd.
Carr, H. (2007). Women's Work: Locating Gender in the Discourse of Anti-Social Behaviour. in: Bottomley, A. and Lim, H. eds. Feminist Perspectives on Land Law. London: Routledge-Cavendish, pp. 00-00. Carr, H. and Cowan, D. (2006). Labelling: Constructing Definitions of Anti-Social Behaviour. in: Flint, J. ed. Housing. Urban Governance and Anti-Social Behaviour: Principles, Policy and Practice. Bristol: Policy Press, pp. 57-78. Carr, H. et al. (2018). Communicating Research: From Idea to Impact. in: Maximise Your Research Impact 2018. Kirton-Darling, E. et al. (2017). Closing the Gaps: Health and Safety in Housing. Shelter. Kirton-Darling, E. and Carr, H. (2016). Homeless Veterans in London: Investigating Housing Responsibilities. Veterans Advisory and Pensions Committee, London region. Carr, H., Edgeworth, B. and Hunter, C. eds. (2018). Law and the Precarious Home: Socio Legal Perspectives on the Home in Insecure Times. [Online]. Hart Publishing. Available at: https://www.bloomsburyprofessional.com/uk/law-and-the-precarious-home-9781509914609/. Cowan, D., Wallace, A. and Carr, H. (2015). Exploring experiences of shared ownership housing : reconciling owning and renting. -. Barker, N. et al. (2008). Response to the DWP consultation paper: No one written off: reforming welfare to reward responsibility. [internet]. Available at: http://www.kent.ac.uk/clgs/centre-files/consultation_responses.html. Carr, H. (2013). Renting Homes in Wales. [Online]. Law Commision. Available at: http://lawcommission.justice.gov.uk/areas/renting-homes.htm. interests. The full list of meetings and the attendees is attached at Appendix A.
Carr, H., Cowan, D. and Hunter, C. (2010). Tenure Rights and Responsibilities. [Online]. JRF Programme Paper: Housing Market Taskforce, York: Joseph Rowntree Foundation. Available at: http://www.jrf.org.uk/sites/files/jrf/tenure-rights-responsibilities-full.pdf. This paper was commissioned to inform the work of the JRF Housing Market Taskforce, a two-year programme of work aiming to achieve long-term stability in the housing market for vulnerable households. Carr, H. and Manthorpe, J. (2006). Dignity- Practice Guide. [Online]. Available at: http://www.scie.org.uk/publications/guides/guide15/index.asp#intro. Carr, H. (2003). Renting Homes. [Online]. The Stationary Office. Available at: http://www.lawcom.gov.uk/docs/lc284.pdf. Carr, H. (2011). Book Review: After Sovereignty. Social and Legal Studies [Online] 20:561-564. Available at: http://dx.doi.org/10.1177/096466391102000401. (hbk), ISBN 9780415685320, £24.95 (pbk). Carr, H. (2010). Book Review: The Legal Tender of Gender. Feminist Legal Studies [Online] 18:191-194. Available at: http://dx.doi.org/10.1007/s10691-010-9155-0.